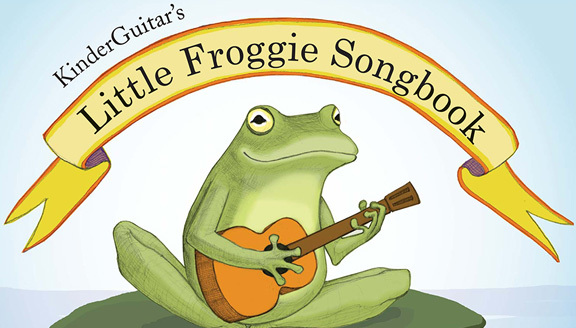 KinderGuitar’s Little Froggie Songbook is an age-appropriate and pedagogically sound method for young children to start active play on the guitar. 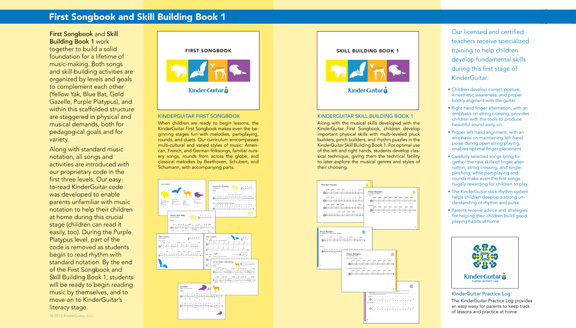 The KinderGuitar curriculum was developed by adapting and integrating the latest early music education pedagogy to the guitar. From a diverse series of songs to age-appropriate exercises and activities, the KinderGuitar curriculum is matched to child development levels, guiding musical growth to make learning fun. 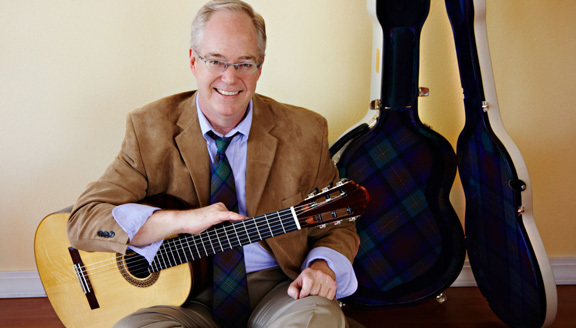 A devoted classical guitarist with over four decades of experience, Rodney Burr became our first Licensed and Certified KinderGuitar teacher in New Mexico. His infectious enthusiasm and energy for educating children and building community are the embodiment of the KinderGuitar philosophy. The KinderGuitar Song Books Leo Garcia has developed have lovely pieces that are a pleasure to listen to and play, in a progression that has provided songs at the right level for our developing students. Recitals are a pleasure now that the children are playing the songs and etudes from around the world, rather than the collections in standard student guitar books. We highly recommend Leo Garcia, as well as his KinderGuitar method, for any young student of the guitar! It is hard to describe in simple words the impact that Leo and his incredible style of teaching has brought to our lives and most of all our children’s lives. The musical journey we were so fortunate to have Leo skipper over the past few years has allowed our children to truly appreciate the guitar as an instrument but also the guitar as a key to unlock an inner wealth few teachers could reach and tap into so effectively. Both our sons have discovered not only a new language but sensibilities only the greatest mentors can unleash. Nothing prepared us for how far a simple guitar could enrich a household.